The tax code. Hardly the stuff of breezy beachside reading. Those who do sit down and explore every nook and cranny of its complexities will find a litany of tax loopholes. Individuals and corporations alike can (and do) exploit them for the purposes of paying as little as possible to Uncle Sam. However, the tax code is constantly evolving and changing. Legislators often reconsider the many benefits available to taxpayers that exist under the law. The debate over eliminating some of these loopholes is reignited from time to time. Politicians run on platforms that promise to preserve the tax breaks that the American people can enjoy. Some even claim that they would simplify the tax code altogether should they be voted into office. Tax loopholes are a vital part of the code. Closing them is usually met with resistance from the groups and interests who benefit from them the most. This makes it tough to do away with many of the allowances that currently exist. 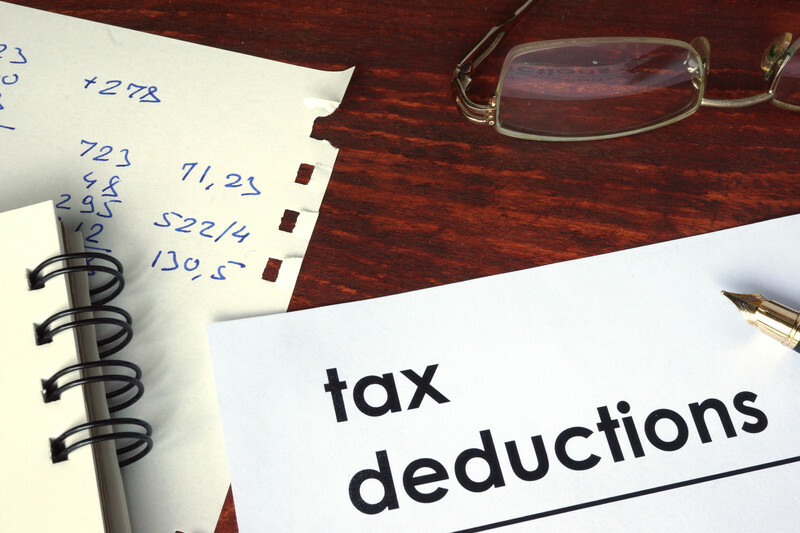 You may be wondering if you are eligible to take a few deductions as per the tax code. Thus, we’re going to discuss some of the more commonly used tax loopholes. This will help you gain a better understanding of what they offer and how you can benefit at tax time. 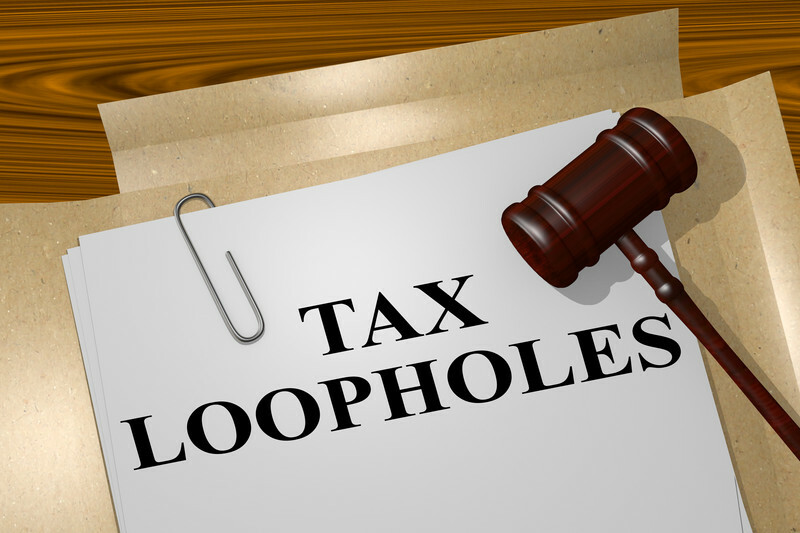 Tax loopholes may be complex by design but their purpose and definition are rather simple. Each one is a provision that is written into the tax code. It gives taxpayers an opportunity to decrease their tax burden each year. These loopholes typically contain deductions, allowances, credits, and exclusions. Those, in turn, spell out the guidelines and requirements that must be met for someone. An individual, a family, a small business owner, an entire corporate entity and so on, can claim the appropriate deduction from the money they owe in taxes for that filing year. Certain loopholes are more obvious and straightforward than others and there some tax loopholes that are in place to help Americans succeed in their chosen endeavors. Other loopholes can be seen as negative. That is because they provide too many allowances to those who already have every consideration. They help them pay less, often to the detriment of some. Many corporate tax loopholes are seen as unfair because they give these groups ample ability to avoid paying their fair share. The methods by which these tax deductions for business can be accessed could result in jobs being lost or leaving the country altogether, just to name a few. Politics plays a significant role in the creation and elimination of loopholes in the code. That can create a lot of controversy among the electorate. There are a variety of loopholes that are created to benefit people in every tax bracket. Though, it often appears that the wealthy are given the most opportunities to avoid paying what they owe. The 1% get plenty of tax breaks for any number of reasons. These will make them eligible to decrease their tax liability. Some of these loopholes are often the most complex to understand. That is because the standards for qualification are predicated upon the forms of income and assets that are gained by these individuals. These are two of the most widely enjoyed among the rich. Investors and other wealthy captains of industry are often allowed a 15% capital gains tax rate. That is why Warren Buffett so famously claimed he pays less in taxes than his secretary. She could be paying at a rate closer to 35% (as do most of us). However, the thinking behind this loophole in the tax law is that the wealthy tend to earn a large part of their income from the returns on their investments as opposed to a weekly paycheck. Earnings on those investments are taxed at the lower rate of 15%. That means that the wealthy are typically paying the lesser amount. That is only because they don’t draw down a payroll check like you or I do on a routine basis. This loophole was supposed to help the middle class. Yet, it has proven to be a bigger advantage for the richest individuals in higher tax brackets. Under the law, any deduction you claim will have more benefit based on the size of your marginal tax rate. Let’s say you can be taxed at a rate of 39.6% and you can claim a deduction of $5,000. You would end up getting a larger break than someone else being taxed at a far lower rate of 10% or 15%. In addition, you can deduct more from your taxes based on the value of your home. Hence, someone with a house worth $3.8 million is able to claim a larger tax break than somebody with a home worth $380,000. The rich also tend to own more than one residence. Guess what? They can claim the same deduction on those properties as well. That adds up to a lot of tax breaks for the wealthiest taxpayers all because they have more money to spend on multiple homes. It’s not just the wealthy who get to enjoy some reductions on their tax bill. The middle class has an assortment of tax loopholes that they can access as well. These tax breaks offer individuals and families the ability to lower their taxes. This is done by saving for the future, owning a home, or any combination of methods that enable the middle class to get ahead financially. These are some of the most popular ways used to help that along. Capital gains are a big part of the tax code. This money is considered income since it represents a gain based upon the difference that is earned from what was paid for something, and what you sold it for later on. For instance, if you buy a stock for $15.00 and sell it for $30.00, that is considered a capital gain. The same goes for property. If you buy a home for $350,000 and sell it many years later for $500,000, you’ve gained $150,000. That income can be taxed and the rate you pay is often predicated upon how long you owned that asset. However, under the Home-Sale Exclusion loophole, anyone who sells their home at a profit won’t be mandated to pay any capital gains taxes on the first $250,000 that is earned from the sale. That number is doubled for a married couple who file jointly. That means that the first $500,000 of profit on the sale of a home is earned tax-free. The idea here is that most members of the middle-class don’t own homes that would sell for much more than the stipulated amounts under the code. This is intended to allow them the privilege of keeping most, if not all, the profit they make from selling a home without having to pay capital gains taxes on it. Saving for the future through an Investment Retirement Account or some other savings vehicle like a 401(k) can also lead to some serious tax considerations. If you are funding an employer-sponsored 401(k), the money you are contributing from each paycheck is made with cash that comes to you before taxes. By this method, you’re already reducing your tax burden. Additionally, you can enjoy an even greater reduction in your taxes by making contributions to a traditional IRA. Then, claiming the above-the-line deduction on your taxes when you file. In doing so, your taxable income is lowered by how much of your income is allocated to funding your IRA. Those Americans who may not have the ability to claim the aforementioned tax breaks are given some allowances. These can help them pay less on their taxes. That is because these individuals and families might not be making enough income. They may lack the resources to put away much of anything into their savings accounts. The name says it all. 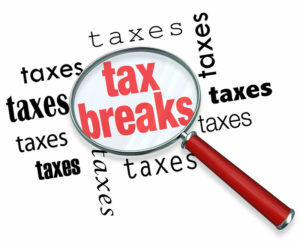 You can receive a tax break just for saving money. It was implemented for the purpose of offering an incentive. It’s aimed toward those who may not have a lot of resources available for putting away for retirement or into a simple emergency fund. The latter is vital because it can provide a financial cushion in the event you encounter some large unexpected expense like a repair bill or medical cost. Anyone who is able to save even a little bit can claim this credit and bring down their tax liability to nothing. Consequently, you won’t be able to profit from the credit, if the money you can claim exceeds what you owe. In that case, you can’t take the difference as income. You are only allowed to eliminate your tax liability. Another tax loophole that can significantly decrease or eliminate your taxes entirely is the Earned Income Tax Credit or EITC. It is intended to give working individuals a leg up when they aren’t earning a suitable income. In contrast to the Retirement Savings Contribution Credit, this tax credit allows you to keep the money that you are entitled should it exceed the amount you owe. This break has been useful to many low-income individuals and families who may be living near or below the poverty line. Another important form of tax loophole available is the tax shelter. The connotation of the typical tax shelter is usually seen as negative. That is because most people think of them as illegal ways that the wealthy try to hide money from the government. There are many options for lowering your tax liability for the short or long term. They are all legal methods for protecting your money from being chipped away by the IRS. While some people may confuse a tax shelter with a tax haven, the two are very different from one another. The ways in which a tax shelter can help you keep as much of your money possible can be varied and wide-ranging. They can be as simple and straightforward as making a donation to your favorite charity and taking the deduction on your taxes when it’s time to file. A tax shelter can also be a retirement account or a plan for reducing your tax bill by deducting medical expenses or interest on a student loan. The greater lengths one might go to search for the most unique and secretive ways to minimize their tax, the more likely those schemes are going to be illegal or at least incredibly suspect. There are plenty of traditional avenues that people use every day to pay less in taxes. These are some of the most reliable and popular options that will keep you on the right side of the law. We’ve discussed how the equity in your home and contributions made to a retirement account both offer tax loopholes. As such, they can make a pretty big dent in the taxes you might owe at the end of the fiscal year. Yet, they aren’t the only methods for finding a place to shelter your money from the Internal Revenue Service. You can store that cash away in your retirement account and claim the appropriate credits for the money you might earn from selling a home at a profit. However, if those aren’t enough protection for your income you could consider tax-sheltered investments that provide credits towards your bill come April. If you put your money into foreign investments, you could be eligible for corresponding foreign tax credits. In addition, there is the option of investing in tax-free municipal bonds. They can yield your interest that is earned tax-free. The great thing about 529 plans is that they can kill the proverbial two birds with that one stone. These plans offer a convenient shelter from taxes. They provide a reliable method for saving up enough money to pay a child’s college tuition. This sounds too good to be true, but it’s not. Many states and schools sponsor these types of savings plans. They are specifically designed to put money away now toward education costs later on down the line. Any earnings made on the money put into one of these savings plans are not taxable as long as the money goes toward paying expenses for school. What’s even more beneficial about placing your money in a 529 plan is that you can shelter your money from federal taxes. Also, you can use them to deduct the amount of your contributions from state taxes. The loopholes we’ve discussed up until now are some of the most popular areas of the tax code. They provide language for finding appropriate deductions for reducing your taxes. In addition to the sometimes complicated legalese that explains how these loopholes work, there are other deductions. These are somewhat easier to comprehend. They remain available to all taxpayers, regardless of tax bracket, as long as they qualify under the mandated requirements. Unlike some of the loopholes we covered, you don’t need to be wealthy or poor, own a home or fund an IRA with any regularity. These deductions tend toward the routines of everyday life. For example, if you move residences you may be able to take a deduction on your taxes. Also, if you are paying down a student loan you might also qualify. Those are just a couple of the potential ways to claim fewer taxes on your form 1040. Yes, you can take a deduction on your taxes if you move from one city to another for a new job. Though, you must meet certain, specific requirements in order to be eligible. The good news is those requirements are somewhat liberal. They apply even if you are self-employed. Additionally, if you get fired from that job for whatever reason you can still take the deduction. As for requirements, you must first move to a location that is 50 miles further than the length of your previous commute. In other words, if you previously drove 9 miles to work, the new location must be 59 miles from away from your old home. If you are self-employed and get to work from an office inside your residence, then you’re only required to move 50 miles from your former residence. Therefore, the law doesn’t require you to move very far. It’s pretty easy to qualify for this portion of the deduction requirement. The second part of the requirement relies on how long you are employed with the company once you move to the new location. Under the law, you have to be a full-time employee for a minimum of 39 weeks within the next year. Don’t worry about those weeks being consecutive or even at the same firm. As long as you put in at least 39 full-time weeks with one or more companies, you can still take the deductions on your moving expenses. Self-employed individuals have more stringent requirements to meet for eligibility. They must be able to prove full-time employment for a minimum of 78 weeks over a period of two years. There are quite a few items you can deduct from your move. If you hire a moving company to help out, you can claim those costs. Packing and shipping it all yourself can be deducted. Storage costs for a length of 30 days, hotel room costs, disconnecting and connecting utilities, are deductible expenses as per the IRS. The cost of gas when traveling to your new residence is also deductible, at a rate of .24 a mile. The IRS tax code allows for taxpayers to take deductions on the many items that are eligible under the law. It is meant to encourage things like home ownership, investments in a business, and the pursuit of a good education. That’s where student loan deductions come in. Qualifying to take those deductions can be done whether or not you’re the one paying for the loan. The interest is the benefit in this case. Anyone can deduct up to a maximum of $2,500 in student loan interest annually. The student can take the deduction even if their parents are paying. The reason is that the IRS feels that the person who has the obligation for paying back the loan is able to claim the interest on their taxes. Most of the time, the obligated party is the student. That means they are entitled to claim the deduction on the loan interest. The rules that you must abide can get a little confusing. You have to meet the prescribed requirements as set forth in the tax code. Though, the main guidelines declare that you cannot be a dependent on someone else’s tax return. Also, you can’t make more than $75,000 if you file as an individual or $155,000 if you file jointly. Additionally, if your parents are bound by law to repay the loan, as in the case of a Direct PLUS loan, then you are ineligible to take the deduction. If any of these apply to your situation, you are out of luck. Donating to your favorite charity or to your local church can also get you a deduction on your taxes. You can qualify whether you give cash or used items to the Salvation Army or Goodwill. You may also be eligible for a deduction for any out-of-pocket costs that you might incur by volunteering or otherwise donating your time to a good cause. It doesn’t matter if you’re mentoring a child or helping out at a food kitchen. Those costs that are eligible are rather wide-ranging, as long as they are related in some way to your volunteer work. Some of the costs you can claim include the miles you drive to and from your volunteering location. Additionally, you can claim books or other materials you need to buy for helping mentor a child. Also, the cost of admission fees to any locations or events where you bring a child that you are mentoring, childcare costs for your own children while you are away volunteering, and any other costs that are part of your charitable work are eligible. The American people are taxed on almost everything. Whether it’s paying taxes on lottery winnings or purchasing household items at the department store. It can feel like there is always a tax on something. Tax loopholes are in place to help taxpayers ease the financial pain and help them reach their goals in life. Some of these loopholes might be viewed as too conciliatory to certain groups and individuals. Yet, the overall purpose of most such allowances is to afford you the opportunity to put your income elsewhere instead of giving it to the government. There is a myriad of ways you can deduct money from your taxes under the code. You should research all of the ways that you might qualify so that you can lower your tax bill as much as possible.